Despite previously advertising there have been no applications for the position of Crossing Patrol Officer. Is there a parent, grandparent, relative, neighbour or friend who would be interested in this job? It entails a total of 6 ½ hours per week, to cover mornings and afternoons. Job share will be considered. The rate of pay is £6.47ph, with a half pay retainer during the holidays. Please contact Mrs Hulley at the school office (723354) for details. We have a vacancy for a Teaching Assistant in Key Stage 1 for 10 hours a week (4 days) starting in January 2012. This is a temporary position until July 2012. KS Nursery; CH Mrs Hopkins; KM Mrs Mawson; CA Miss Ashberry; LC Mrs Cann; JC Mrs Colchester; PLDD Mrs Lord/Mrs Dwyer; KT Miss Treen; RV Mr Vaughan; NS Mr Snowden; EM Miss Montague; GA/JB Mrs Armstrong/Mrs Bell; DBGM Mr Brook/Mrs Morgan. We are delighted to advise that Friday’s “Be Bright Be Seen” day raised £126 for the Road Safety charity ‘BREAK’. Please may we remind parents to return slips and payments for the KS2 history Tudor day. Parents of Year 5 and 6 pupils are welcome to listen to the choir sing in assembly on Tuesday 6 December at 2.30pm in the school hall. I am sorry to let parents know that Mrs Morgan has now decided to fully retire from school. We will be very sad to see her leave at the end of this term, and will advise parents in class DB/GM shortly of her replacement. I am sure you would all like to join me in wishing Mrs Morgan all the very best for the future. I am delighted to announce that Mrs Spencer has given birth to a lovely baby boy, Joseph. All the staff and pupils send the family many congratulations and good wishes on this lovely news. The Friends would like to say a BIG THANK YOU to all the children and their families who came along to the Christmas Craft Market last Friday. The support for this event was fantastic and we raised an amazing £1270! We would also like to say a very special thank you to all the families who donated items on the non-uniform day. Without your generosity, we simply would not have been able to raise such an impressive amount. And not forgetting our Year 6 helpers, who did a brilliant job of manning some of our stalls, being our festive human fruit machine and of course, excellent little helpers for Santa. Well done! The Friends committee constantly strives to organise successful fundraising events, which are memorable and fun for all the family. We really do welcome constructive feedback on events and ideas for future events. If you have any comments, please contact Marie-Therese Walker (Chair) on mtwalker666@hotmail.com. The Friends would also like to say a very big thank you to Catherine Hill for all her hard work in co-ordinating the Christmas Craft Market. The Friends would like to give advance warning of their Charity Bag collection on 13 January. Children from the Nursery and Reception classes in rehearsal for their Nativity Play: Busy Christmas. The singing and actions are great. The children are really looking forward to performing for their parents. The corridor outside the foundation classrooms look very colourful at the moment thanks to these stunning paintings (inspired by fireworks) created by the two reception classes. This week has seen a range of activities across the school looking at road safety. Click on logo to find out more. Here are the winning entries in the KS2 poster competition. We need a new Crossing Patrol person. The design above is by Julitte Lee (upper KS2) and below by Kate Simpson (lower KS2). The designs have been used on posters advertising for a new lollipop person. At the end of the week the children were allowed to wear a bright item of clothing. They paid a small amount of money towards charity BRAKE. Nursery children drew round one of the boys and then painted him in bright colours. Our Junior Road Safety Officers went around Framlingham asking shop keepers to put up posters. Posters going up around school. Foundation and Key Stage 1 have been making hand prints. 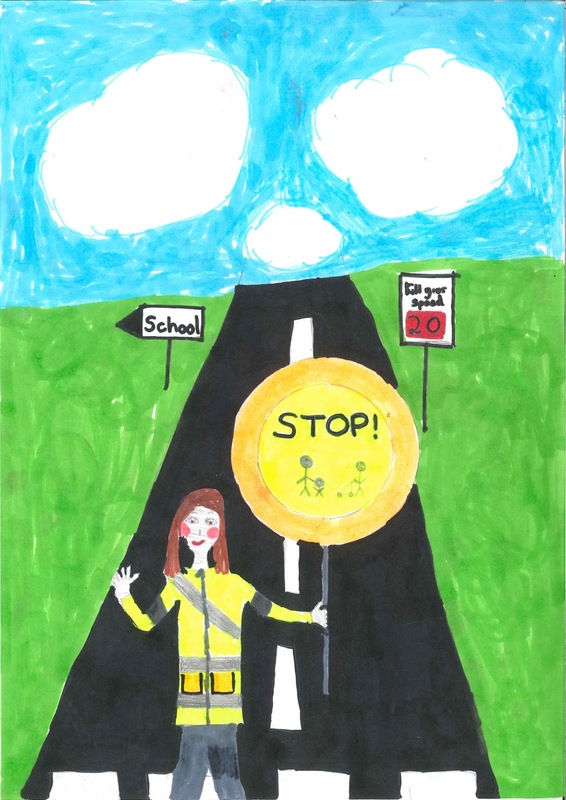 We are keen to highlight the dangers for young children crossing the road. We are encouraging them to hold hands with an older child or an adult. We are hoping to make enough hands to go around the whole school building. The children in year 6 English have just finished reading (together) a book by Louis Sachar called 'There's a boy in the girl's bathroom'. They talked about recommending the book to other readers and how to write a book review. The author is Louis Sachar. Louis Sachar has written books including: The Boy Who Lost His Face, Dogs Don’t Tell Jokes, 5 different Wayside School stories and the bestseller HOLES. The story is set in Red Hill School, America present day. 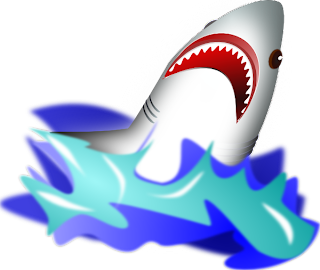 The main characters are Bradley Chalkers and Jeff Fishkin. Bradley was an unpopular boy in Red Hill School until Jeff came and made friends with him. Now they are always together. Jeff and Bradley both have to see the new counsellor, Miss Davis. Jeff joins a new gang and Bradley is left alone again. Bradley plays with his toys as if they are in a role play about what happens each day. Bradley is invited to Colleen’s birthday party they play party games and compete for points. Bradley watches as Colleen opens her presents, finally she opens the one Bradley gave her. It’s a replica of the human heart. 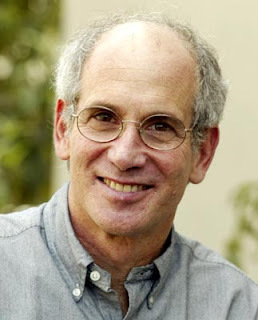 Louis Sachar, the author of Holes, Small Steps, Pig City, and the Boy Who lost his face; dogs don’t tell jokes and the wayside school series. The main characters are Bradley Chalkers a boy with behavior problems. Jeff Fishkin a polite, kind boy who is also the new boy. Colleen Merrigold, a sweet shy girl who has a crush on Jeff. Melinda is the quiet girl who has a mean side to her. Lori is the loudest girl in the school and hates Bradley more than anyone. Carla is the new counselor and likes Bradley; she also tries to get Bradley more like kind Jeff. The story is about a boy called Bradley who has behavior problems, with the new councilor Bradley doesn’t get any better, only worse. But their friendship grew stronger and Bradley turns more polite then disaster strikes. The girls and the boys get in a fight, they start calling each other names then it turns into a fight, Bradley and Jeff both get black eyes but they blame it on each other. Then everyone in the school turns on Bradley. I think the book was really funny, lots of parts made me laugh out loud! I would recommend it to 8-12 year olds, even though everyone would love it! Name of book: 13 Secrets. Author: Michelle Harrison, she was born in Grays Essex. She has also written sequels. 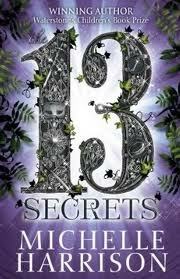 The first one (Two before this):13 Treasures then 13 Curses and finally the one I`m doing 13 Secrets. Setting of the story: The story setting moves around quite a bit but the main 2 settings are the Manor and the Fairy Realm. But you never know what part of time its set but I would say modern England. Characters: There are so many characters in this book. But the main three are Rowen a red headed child with a lively feisty spirit but she is really worried about Eldron an evil fairy set out to kill her. Then there Tanya a positive small girl who’s best friends with Rowen and finally Fabian a born scientist with a love of fairies he plays an important part in solving the murders in the fairy real. There are 13 fairies or changeling children who are part of the coven but half of them get murdered. It`s not a story for the weak stomached! A bit about the story: One of the murders in the story is really gruesome they find one of the murdered in the coven got put on a roof she had a sun disease and died of that and also got peaked to death! I thought the book was good I give it 5 stars but it gave me nightmares I say you should be 10 to read it. Michael Morpurgo is one of the best Britain’s selling children’s author. The story has been set in world war two out in the open. He is kind and would always look after his family in any dangers. 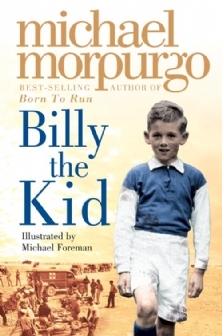 After the death of Billy’s dad Billy tries to hold on to the rest of his family and his life. What will happen next…. I think others should read this book because it is a very moving and thrilling book to read. You can also learn a lot. I recommend it to others because of the brilliant idea. I would say 10 years and up could read it. 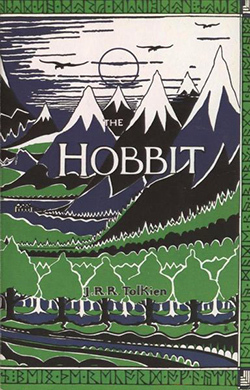 To start, this book review is about the Hobbit by JRR Tolkien who published it in 1937. 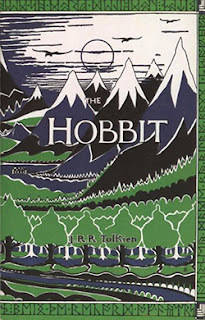 Its main character is Bilbo Baggins, a hobbit. The Bagginses have always been neat, tidy, normal family of hobbits. But Bilbo was part Tookish so a adventurous streak resigned in his veins. But he’s mainly sticking to the Baggins side of him at the moment. There was a knock on the door and a merry band of dwarves come into Bilbo’s home. Their names are Dwali, Balin, Kili, Fili, Dori, Nori, Ori, Oin, Gloin, Bifur, Bombur (Fatso☻), and Thorin, leader, and son of the king under the mountain. Not to mention Gandalf the wise wizard. And they’re on a quest. A quest to steal the gold from a dragon! This book is written by Louis Sachar. Louis Sachar has also written the book HOLES. The story was set in a school in America. The book was set in modern day. The main characters were Bradley, who was based on Louis Sachar himself, Jeff, the new boy at the school, Carla, who was the counsellor of the school, and three girls called Lori, Melinda and Colleen. In the story Bradley is a naughty boy who never hands in his homework. 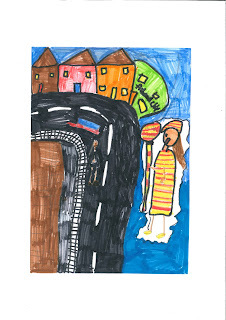 The story is about Bradley who goes to see the new school counsellor. When a new boy called Jeff comes to the school Bradley makes friends with him but then Jeff joins another gang Bradley is not happy. Bradley plays with his toys because he has no friends and makes them act out his school day. Bradley is invited to Colleen’s birthday party. Jeff was invited to Colleen’s birthday party as well. They both went and played many games. Bradley ended up with the most points at the end of the games and won a prize. Bradley gave Colleen a replica of the human heart because Carla told him to give a gift from the heart. I thought the book was very good and funny. Story: Maddy, Sal and Liam should have died in either the past or future but were recruited be a man called Foster to protect history from time travel. They’ve got two meat robots called Bob and Becks. They’ve got technology from the future so they are constantly living either on the 10th or 11th September 2001. They’re placed around 9/11 so nobody would really take interest in an archway which the Time Riders are hiding in. A mysterious time traveller causes the horses on a cart to bolt killing Abraham Lincon. Liam, Sal and Bob go to rescue him because he has been erased from history. 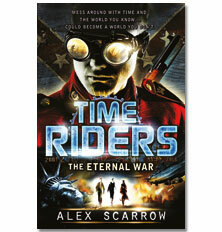 Lincon then follows the Time Riders into the future. He sees 9/11 on the news but because of the super technology it hasn’t happen yet. Lincon goes outside and says that the Twin Towers will fall down; and when they do the police take him away because they think he’s a terrorist. Liam, Sal and Bob set off to find him because without him the American Civil War will never end! I think it’s a really good book and I would recommend it to 10+ children. By Ollie Garvie. Age 11. That can go to their ears. As I am sure you are aware a number of public sector unions are in dispute with the government over proposed changes to public sector pensions, and will be taking part in strike action on Wednesday 30 November. This action involves both teachers and support staff. Local Authority advice states that “During strike action it is not lawful for an employer to engage temporary staff to cover the work. No supply staff will therefore be employed to cover members who are on strike, and no other teacher will be required to cover that work either”. I am sure you will appreciate that this situation is beyond my control. The safety and care of pupils throughout the day is paramount and any decision to close the school to pupils will not be taken lightly. Due to the lack of clarity at this stage, I am giving you notice of a possible closure so that those families who need to make alternative arrangements for the care of their children on that day can do so. As soon as I am certain of the union members’ final decisions I will inform you via your child’s book bag, the school Blog, and on notices around the school. The children will have an opportunity to visit and order books during school time with their class, or parents are welcome to come along with their children at 3.15pm on Thursday, Friday or Monday to have a browse by the hall. PLEASE NOTE: you WILL NOT BE ABLE TO TAKE THE BOOKS AWAY ON THE DAY, but all orders will be returned to the children by Thursday 1 December. All purchases made will help the school obtain more books for our library and classrooms. Remember to wear a BRIGHTLY COLOURED or FLUORESCENT accessory to school on Friday 25 November – this could be a scarf, some socks, gloves or hat etc. Please bring a donation of 50p - £1.00 which will go to ‘BREAK’ – the road safety charity. If you are baking cakes or mince pies for the Friends event on Friday, please do come to get a cake box from the office if you would like one. Please remember recipes should have no nuts. There is no tennis next week, but the coach will add one to the end of the course. As you will be aware unions within the public sector are proposing strike action on Wednesday 30 November in response to changes to Teachers’ and local Government Pensions. this may mean that there will possibly be a school closure on this day. We will keep parents informed and will give as much notice as possible. Reminder there is no Holy Horrors this week. IF THERE IS A STRIKE on Wednesday 30 November HHH will meet in the Church at 3pm, if only some classes are not at school it will still meet at the church and HHH pupils who are at school will be walked to the Church. Parents to collect from the Church at 4pm please. Thank you to those of you who returned comments on the Autumn Reports. All the feedback has been useful and will be considered to help shape changes for future reporting. All of our children were treated to a brilliant show from the Quantum Theatre company. They visit us every year to put on their own plays about science. 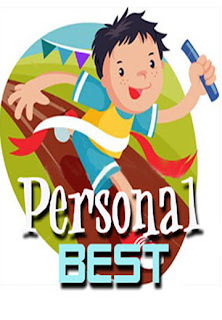 This year the play was all about healthy food and lifestyles called Personal Best. Some of our children got to join in the play. The show included a snappy tune which helped the children remember the key elements of a healthy diet. On Thursday, members of Mr Vaughan`s Year 3 and 4 Literacy set visited classes CH and KM to read a selection of children`s stories they had been writing this week. The stories were based on a short film entitled `El Caminante`, a daring tight-rope walker who entertains members of a small Spanish town. Each child had to write the story in 6 pages with each page containing illustrations and short, simple sentences. The children of CH and KM thoroughly enjoyed the experience of having slightly older children read to them and the Year 3 and 4 children learnt a great deal from the time spent in the two reception classes. Due to a delivery problem from Suffolk Catering Services the menus for Monday 21 & Tuesday 22 November will be swapped over. The children may come to school in their own clothes this Friday in return for donations to the Christmas event on 25 November. Please be aware that clothes and shoes should still be practical for a day at school. Adult Tombola prizes of Wine, Beer or Spirits; Children’s Tombola prizes of Sweets or Chocolates; Hamper items; Raffle Prizes; Cakes & Mince Pies (nut free of course). Please note: there will be NO toy, book or white elephant stalls at this event so please do not send in any secondhand items, thank you. Any bottles or breakable items to be given to the office please. - there will be no ticket sales on the night. Please return your ticket application forms to the office by Friday 18th November. The top prizes for the Friends Raffle to be held at the Christmas Event on Friday 25 November include a round of golf for 4 at Halesworth Golf Club and also a pair of tickets to see ‘Cinderella on Ice’ at the Ipswich Regent, there will be many other great prizes. The children will have an opportunity to visit and order books during school time with their class. There will be books available to look at for children of all ages and abilities, and a leaflet is enclosed giving some of the titles available. If you are unable to visit at opening times but would like to order a book, please complete the order form on the leaflet OR use the form overleaf. Payment must be sent in with the order, cheques should be payable to ‘Framlingham Sir Robert Hitcham’s CEVAP School’, with your child’s name and class on the reverse. PLEASE NOTE: The children WILL NOT BE ABLE TO TAKE THE BOOKS AWAY ON THE DAY, but all orders will be returned to the children by Thursday 1 December. 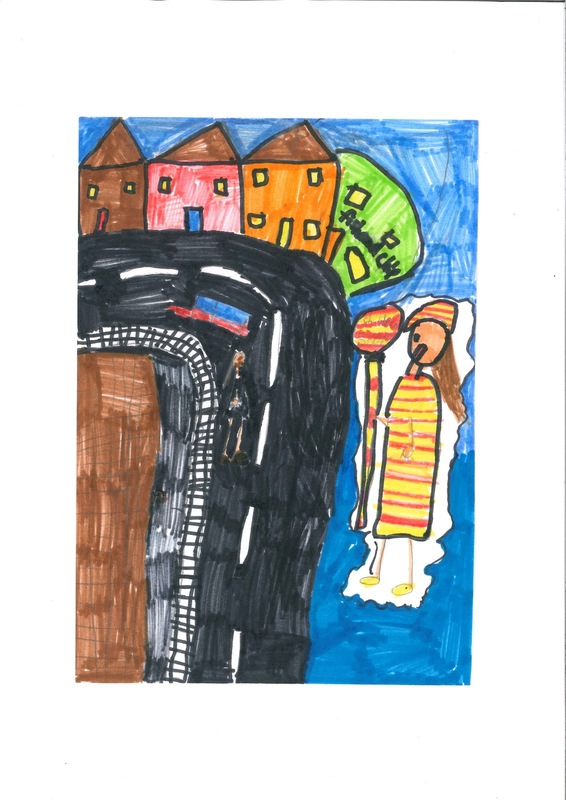 To tie in with Road Safety Awareness Week at the end of this month the Junior Road Safety Officers are suggesting that children may like to wear a BRIGHTLY COLOURED or FLUORESCENT accessory to school on Friday 25 November – this could be a scarf, some socks, gloves or hat etc. They would ask that a donation of at least 50p be handed to the class teacher on that day. The donations will go to ‘BREAK’ – the road safety charity who help people who have been injured in road accidents or support families of those tragically killed in road accidents. 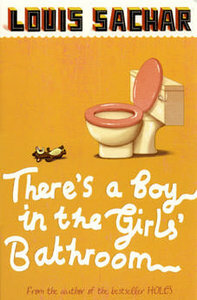 In our English lessons we have been reading a book by Louis Sachar called: 'There's a boy in the girls bathroom'. We have been writing our own play scripts using the characters from the book. When we finished writing the scripts, we recorded them and added some sound effects. You can listen below to our finished recordings. Each of the podcasts below has 3 short recordings by children in year 6. On Friday 4th November 2011, Class E.M had their share session. Our theme was fireworks and Bonfire Night. In the activity area we made bonfire and firework collages and in the classroom our activities included wax scraping pictures, crosswords, poems and tangrams. We all had great fun and the parents enjoyed it too. Thank-you Mrs Harold and Mrs Waddell for organising it for us! The Thomas Mills High School production of 'ANNIE' was a huge sucess this week. Our year 5 and 6 classes were lucky to watch a matinee performance earlier this week. It was great to see so many of our former pupils taking part as musicians, actors, singers and dancers in this fantastic show. Class GA/JB had a great turnout of parents for their SHARE afternoon. Together they made Tudor houses. In lessons we have been creating Tudor crime stories. The characters would live in these houses. Everybody enjoyed building and decorating the houses. They look great now they are finished. Some children even took theirs home to do extra work on the inside.